Division Commander Chris Graham (Lamar/Stephen F. Austin) recites the Creed on stage at College of Chapters 2014. Division Commander Chris Graham (Lamar/Stephen F. Austin) recited the “long Creed” of Sigma Nu at both College of Chapters and Grand Chapter in 2014. The staff of The Delta spoke with Brother Graham and asked him about the story of how he came to memorize the Creed and what it means to him. After I was initiated, one of the first things I did – using the old merchandise form – I bought a copy of the long Creed, the short Creed, and a copy of A Serpent, A Rose and A Star. I framed the long Creed and hung it on my wall not long after I was initiated. The Creed was always something I was impressed with – the elegance and beauty of it. Graham first saw the Creed recited in long-form at College of Chapters by then Division Commander Joe Cannon (North Texas). The experience was an inspiration to Graham who began to memorize the Creed while an undergraduate. Fast forward a year or so before I graduated, I was living in the fraternity house between my sophomore and junior years. In the house we had the long Creed hanging on the wall in our room of honor. One evening I was there cleaning the room and I sat down and read the Creed. I realized that I had about a third of it memorized, without ever really trying to memorize it. Then I said, “I want to do this for me.” I never intended it for anyone other than myself. Before I graduated college, I had the whole Love section memorized and I pretty much had the Honor section memorized. I would stumble with it but with those two sections I was close to having half of it. After graduating, Graham set aside the Creed. During this time, Graham began his career and got married. Tragically, Graham’s young wife was stricken with cancer and she passed away not long after their marriage. After she passed I sank into a depression or whatever you want to call it. You try to find a reason to get up every day. It wasn’t long after that I became Chapter Advisor at Lamar. I watched these young men reach out to me and engage me to be involved. I realized Sigma Nu was very important to me at that time because it was giving me something to live for. I don’t want to sound so morbid but it gave me a purpose beyond just getting up and going to work. It was just another extension and a reason to keep moving forward. And it truly reminded me of what was in our Creed, the concept of brotherly love, truly being there for others. So I started reading the Creed again and really decided I wanted to finish memorizing it because it gave me such peace and solace. So within a few years I pretty much had it. I only recited it to myself as it was a personal thing, and I never saw myself being in a position to recite it for someone else until there was a death of one of our chapter’s charter members. Graham was approached by the family of the deceased brother and they asked for some token of appreciation that could be provided during the service. Graham offered to recite the Creed at the wake which the family accepted. Additionally, the Funeral Ritual was performed just for the family prior to the burial service. It was the first time I ever recited the Creed for anybody other than myself. As I was saying it, it was emotional because I knew who I was doing it for: the family, in honor of their father and husband who was such a great Sigma Nu and inspiration to me. I realized that I really did know it but I knew it because of what it meant to me. After reciting the Creed at the funeral, Graham was approached by Zeta Psi (Lamar) to recite it at their formal. This started a series of recitations that included the charterings of chapters at Oklahoma, Stephen F. Austin, and Houston. Finally, Graham was approached by then Regent Charlie Eitel to recite the Creed at College of Chapters and Grand Chapter. 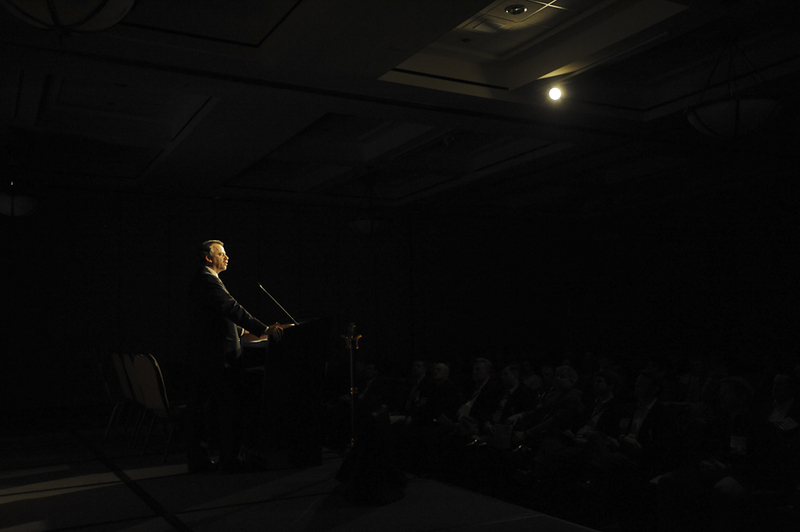 At both conventions Graham recited the Creed before hundreds of Sigma Nu brothers. People have asked me “Why?” and I always say that it was an inspiration to me and it still is today. There have been days where I have had the most rotten day and I’ll turn off my radio and just recite the Creed on the way home from work. It relaxes me; it reminds me of why I’m a Sigma Nu and the great things our fraternity stands for. I’m pleased that I have had the opportunity to share it with others and at College of Chapters and Grand Chapter. To have so many students come up to me and tell me that I have inspired them reminds me of why I am a volunteer. I want to give back, I want to inspire those young men, just like I was inspired as a young man to be something more, to be better than just average. It was just one of those things that came into my life at the right time that I’ve been able to share. And it’s been an honor to be able to share, on whatever stage whether it be at a small chapter gathering or Grand Chapter. It was just something that I am honored that I have the ability to do and to share. Something really set me me off the other day. While researching for this article, I made the mistake of entering “fraternity ritual” in the Google search bar. I was expecting to find a convenient Wikipedia page with a general history of fraternity rituals, their inspiration and evolution; how naïve that turned out to be. While a few of the top results pointed to brief histories of specific fraternities’ rituals, those are not what caught my eye. Rather, I was bombarded by headlines like “College Hazing Stories,” “Horrible College Hazing Rituals,” and “Deadly Frat Rituals are Banned Thanks to Technology.” And that’s just on the first page of results. Is this what we have done to ourselves, our fraternities? Is this the price of maintaining a secret ritual? Are we known only for what we have done to bastardize our rituals? These are just a couple of the questions that surged into my mind. I hope you are as upset as I am. As fraternity men and sorority women, we have a tendency to think of our rituals as archaic books of secrets. 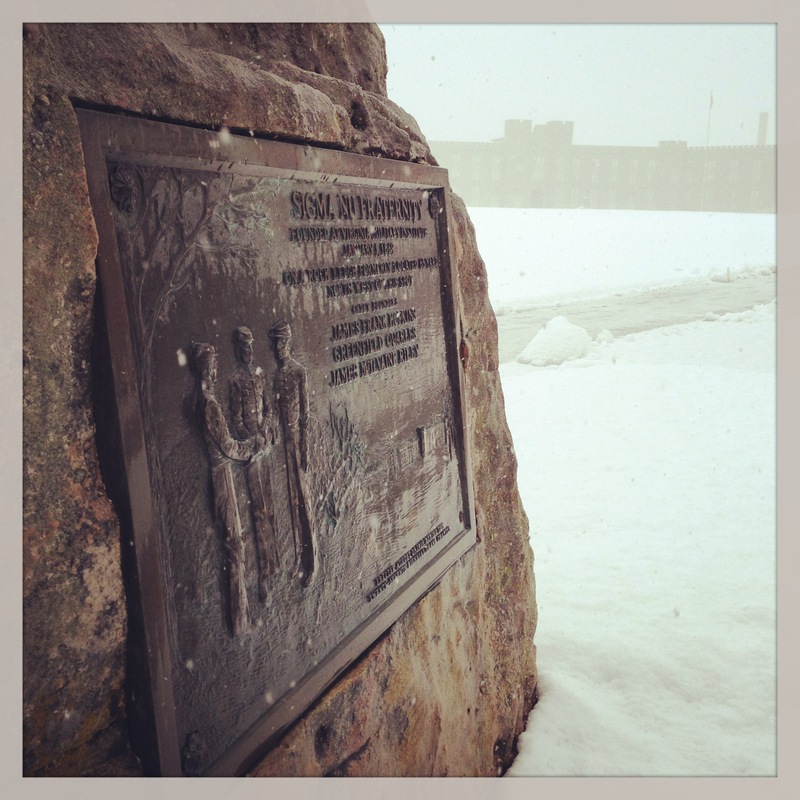 Inspired by men and women who have long since passed, we bring them out of hiding only a few times each semester. And usually, we don’t do it because we want to; we do it because we feel compelled. To many of us have a tendency to dust off The Ritual for the Candidate and Initiation Ceremonies, and perhaps for chapter meetings and the occasional Affirmation of Knighthood Ceremony. But the ceremony ends, The Ritual goes right back into hiding, and we don’t think about it again until the next ceremony. Robes, candles, ribbons, badges, perhaps blindfolds, and a lot of talking by a few officers: this is what most of us remember. If we expect to be taken seriously as an organization that seeks “to develop ethical leaders,” then we need to do a better job of acting like it. If we are going to keep complaining that Greek-letter organizations get too much bad press, we need to stop simply talking about how we encourage great development opportunities, ethical leadership training, and adherence to a core set of values; we need to start doing it. If you are as frustrated as I am by the headlines I mentioned earlier, then you need to help me reclaim our Ritual. Toward the end of the Initiation Ceremony, our Ritual challenges each Knight to “strive to live and die in Honor…that in life and death men may truly say of him: ‘He ever bore, without abuse, the grand old name of gentleman.’” That last part is inspired by a poem by Alfred Lord Tennyson, written while Tennyson was mourning the loss of a very close friend, Arthur Henry Hallam. To paraphrase, Hallam was an excellent man, above the “churls” and “charlatans” who claimed the “name of gentleman” but did not deserve the distinction of such a title. So, what are you doing to live up to your commitment to live and die in honor? Do you deserve to bear the “grand old name of gentleman”? I’m not going to try to define “gentleman.” Plenty have tried, but I believe that the word has a certain “it” factor, as in “you know it when you see it.” Here is one way to help you “see it”: over the next few weeks, pay attention to your behavior and the behavior of those around you. Each time that you notice yourself or one of your brothers or candidates do something gentlemanly, take note of it. Each time you hold the door open for somebody; each time you help someone pick up something they’ve dropped; each time you help an elderly lady across the street, add a note in your phone or on a piece of paper. Make a conscious effort to be a better man, and you’ll feel good about it. Challenge your brothers to be more considerate of others, to try to make someone’s day, every day. 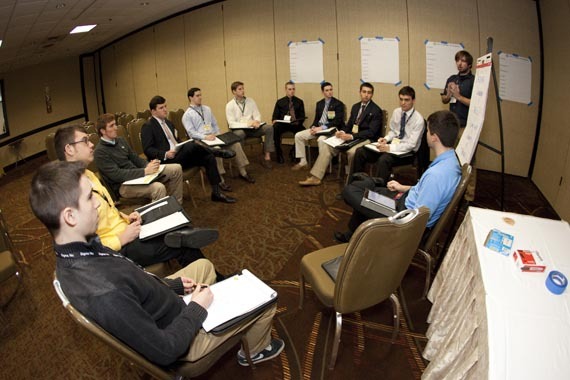 Keep track of gentlemanly behavior, and recognize brothers who excel at your chapter meetings. During National Ritual Celebration Week, use the hashtag #NRCW to acknowledge excellent brothers who live according to our Ritual. The Ritual; the most sacred tradition of our Fraternity. For our brothers, The Ritual serves an important role of reminding each one of us of our oath and obligations to our fraternal brotherhood. When recited, The Ritual renews our sense of purpose and calls us to action, to carry out the values of Love, Honor, and Truth. As this week is National Ritual Celebration Week, think about how you and your chapter can elevate the reverence of our Ritual. Below are 5 examples of ways you can take Ritual to the next level. 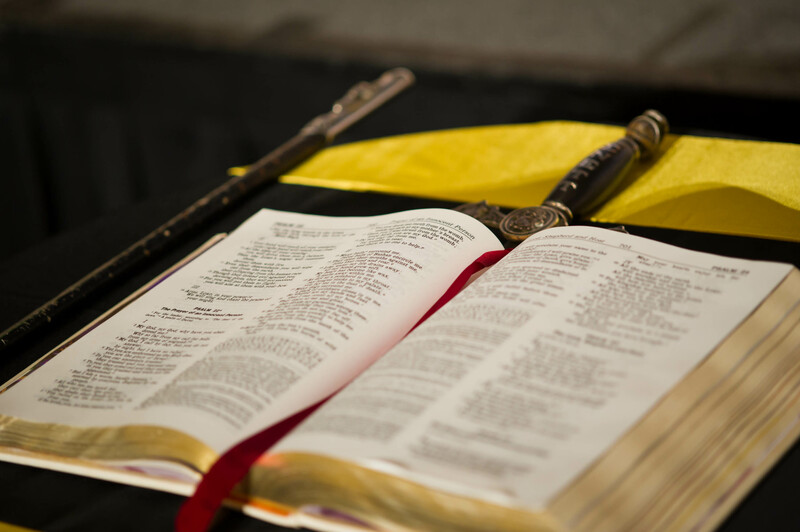 Contrary to popular belief, the items most strongly associated with our fraternity’s ritual ceremonies – – the sword, the bible, and robes – – are not secret. These items require spoken words of The Ritual ceremonies to provide their significance and give context. That being said, it is important to make sure that The Ritual materials are properly stored and maintained. Replacement of items when they have become tattered, worn, or rusted is recommended. When necessary, robes, linens, and station covers should be dry cleaned. All items should be stored in a manner that protects the items from damage and preserves their reverence. Chapters should be mindful of completing ritual inventories before and after each ceremony to ensure preparation for next use. Ritual sets a tone for our meetings and should exist as a sacred and special time for our members. Distractions such as poor preparation, missing items, and neglect take away from our ability to focus on the message The Ritual offers us about the purpose of our organization. The responsibility for taking inventory of ritual items should be left with the chapter’s Chaplain. Every chapter has been provided five copies of The Ritual, one for each ceremonial officer position; Commander, Lt. Commander, Chaplain, Marshal, and Sentinel. No chapter is provided with more than five copies and the copies are considered on loan from the Grand Chapter. This means that copies of The Ritual were issued to your chapter and only to your chapter. Unless special permission is granted from the Regent, chapters are not permitted to loan or makes copies of The Ritual. If your chapter has less than five copies, the books have been damaged, or the formula cards are missing, notify the General Fraternity and request replacements. Additionally, avoid writing in or making alterations to the text. The words of The Ritual have been written with great purpose and meaning; alterations lessen the message and take away from the consistency of our message. Words from the formula card should not be added to the book. The Ritual and key remain separate for a reason; to preserve what matters most to our Fraternity. Two of the Fraternity’s most underappreciated and often forgotten traditions are the Affirmation of Knighthood and Funeral Ritual ceremonies. Affirmation of Knighthood is a bridge between the collegiate and alumni chapter and is a graduation ceremony for brothers completing their undergraduate careers. During the ceremony, graduating brothers can be presented with an alumni lapel pin as a memento commemorating their time in the undergraduate chapter. The ceremony creates an opportunity for discussion with your senior members about how they can remain engaged and loyal alumni even after they have entered the next phase of their lives. The Funeral Ritual is the Fraternity’s only public ritual. This ritual is used in memoriam of the passing of a brother into Chapter Eternal. The Law gives special permission to brothers to drape their badges with black ribbon during this time. 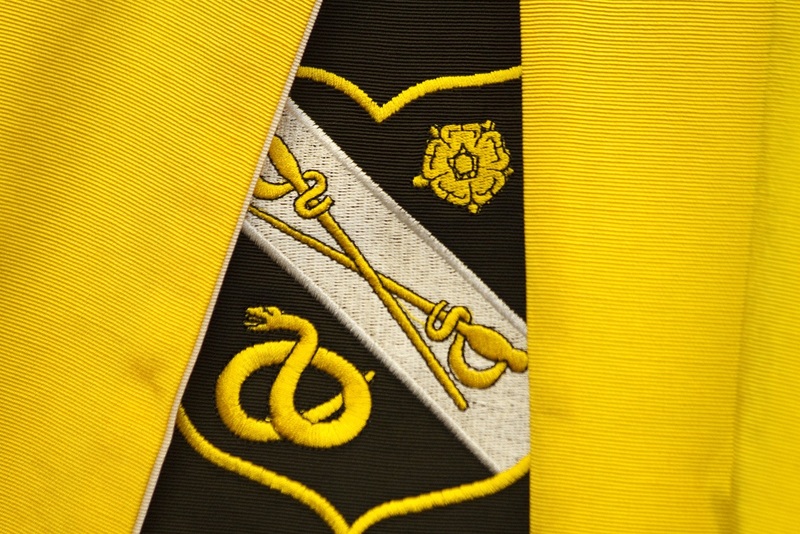 One of the threads that connects all of The Ritual’s ceremonies together are the Five Objects of Sigma Nu. Introduced during the Candidate Ceremony, these objects are foundational to our organization and speak with great instruction about how each member (candidates, brothers, and Knights) is expected to act in alignment with the values of our Fraternity. If your chapter hasn’t already started making this a part of your conversation about ritual and member accountability, begin immediately. You will be glad you did. Christopher Brenton is a 2012 graduate of North Carolina State University where he majored in marketing. He is currently serving as a leadership consultant for the General Fraternity Staff. What are some practical steps to being a good member? It’s a simple question, and yet one that often gets overlooked in the bustle of chapter meetings, paperwork deadlines, and all the other tasks chapters have to worry about each week. Non office-holding members make up the majority of most chapters and finding ways for these members to contribute is important to Sigma Nu’s success. These five simple steps are ways each brother can be a contributor and fulfill his oath to Sigma Nu. 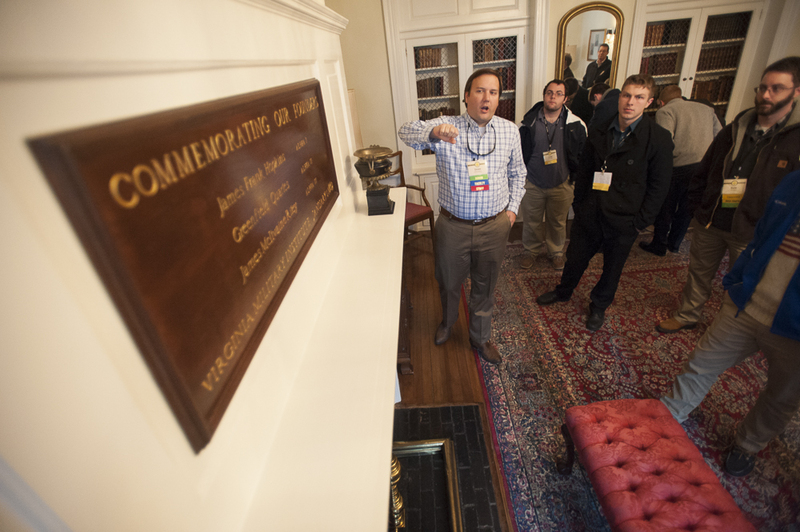 An important aspect of Sigma Nu membership is knowledge of the Fraternity’s Law. The Law serves as Sigma Nu’s instruction manual: it articulates rights, responsibilities, obligations, and proper procedure. A full knowledge of Sigma Nu’s Law allows for proper operation of a chapter and successful navigation of membership . Without awareness of the Law, it is impossible to know if an idea or behavior is within the legal limits of Sigma Nu. Sigma Nu’s Ritual is its oldest and most distinguishing document: The Ritual binds all Sigma Nus together in ways that nothing else can. Members reciting The Ritual take part in a tradition combining high ideals with rigorous standards that have existed since the founding of Sigma Nu. Knowing The Ritual is essential for participating fully in all chapter ceremonies and will give each man a greater appreciation for its importance. Like all other organizations, Sigma Nu must be well equipped financially to operate. The primary form of revenue chapters are allowed to collect is member dues. It is therefore essential that each member pay his dues in a timely fashion. There will be no socials, philanthropies, and minimal recruitment without finances. Furthermore, Sigma Nu’s national organization would collapse without the revenue to support educational programs and new expansion projects. One of the methods for chapters to get things done is through committees. Committees, when working properly, can alleviate stress of the leaders, involve multiple members, help younger members learn officer positions, and improve the effectiveness of the chapter. Members should seek out opportunities to serve on committees and when on them should attend meetings and seek responsibility. As most business matters worth considering come up during chapter meeting, all members need to attend. A member must be in attendance to have his voice heard and not attending communicates indifference and apathy to the membership. Familiarity with Robert’s Rules of Order can help too. This is what Sigma Nu uses during its biannual Grand Chapter, and every member should have a base level of familiarity with Robert’s Rules of Order to apply during chapter meeting. Asking why having a Ritual is important to a fraternity is like asking someone why having a heart is important to his or her livelihood. What better way to illustrate the relationship between a fraternity and its Ritual than using a pop-culture phenomenon that has once again become very near and dear to our, say, hearts? I’m talking about zombies, of course. A fraternity’s Ritual is, in many ways, the heart of the organization. It is the one commonality that defines all fraternities while, at the same time, makes us individually unique. Our Ritual lies at our core. It is our essence that makes us who we are. Figuratively speaking, much like a person’s heart, no? 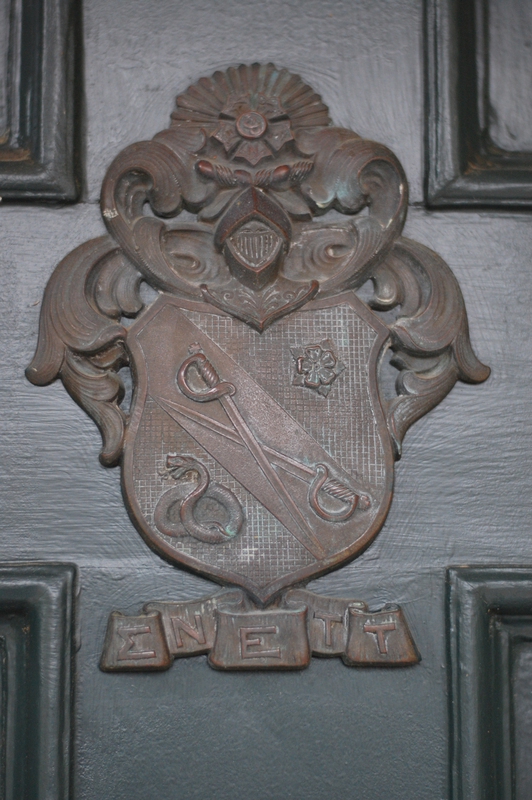 Without it, a cold, lifeless fraternity would remain. Could we still operate without one? Sure, we could still recruit members, govern according to our fraternity’s constitution, and enforce policy. No doubt from these, we could maintain some semblance of a fraternity, but to say a fraternity without a Ritual is still a fraternity would be akin to suggesting those zombies we see each week on The Walking Dead are still people. Needless to say, that would be foolish, not to mention hazardous to our health. Just as a zombie uses people merely as a means to an end (food, for instance), without a Ritual fraternities would use members merely as a means to revenue and reputation. We would no longer care about the well being of our members nor their becoming better men or women as a result. We would no longer hold them to a higher standard of ethical and moral conduct nor expect them to have a positive impact in their communities. We would not promote pride for our history nor encourage hope for our future. We simply wouldn’t care about our members anymore than the zombie cares about its food. And just like the zombie, our only motivation would be a sort of instinctual self-preservation, resulting in a horrifying and insatiable hunger for more victims. Only our path of destruction wouldn’t be nearly as entertaining. Obviously, I offer this analogy somewhat in jest. But there is one parallel within this analogy about which I could not be more serious: when asked why having a Ritual is important to my fraternity, I submit it is as important as it is for a person to avoid becoming a zombie. Why, you might ask? Just like the zombie, a fraternity without a Ritual faces the same inevitable conclusion – eradication.